One of the perks of membership in the BlogPoll group is the chance to take part in roundtables with our wonderful bloggers from around the country. The first roundtable of the 2009 season is hosted by Hey Jenny Slater, a Georgia blog. 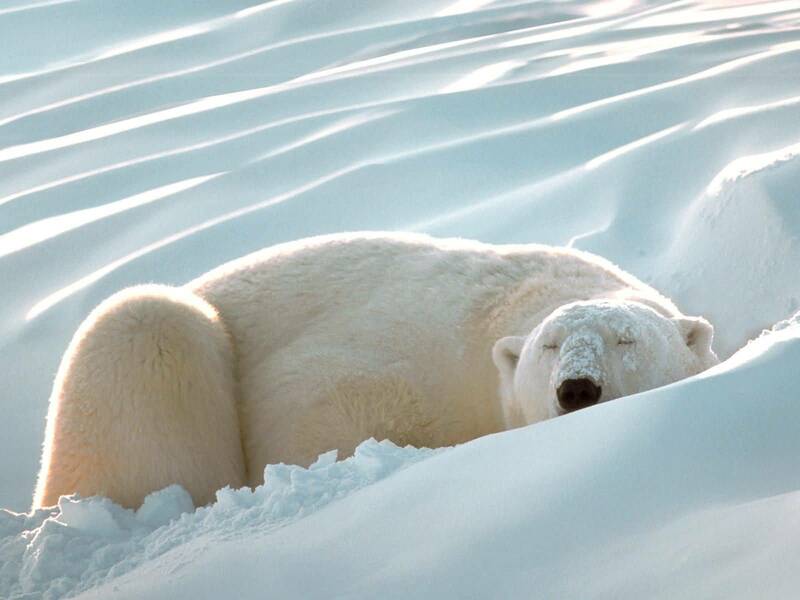 The focus is on those who are sleeping in advance of the season. It's hard to say that one bad year qualifies Michigan as a sleeper, but they have a good shot at serious improvement this season. The Wolverines finally have their spread quarterback, and every other starter is back from last year, with one more full offseason in the offense. This should be a good year for the Wolverine faithful. The hire of Greg Robinson as defensive coordinator was a good one. He flopped badly as a head coach, and you could argue that he wasn't that good as an NFL coordinator. However, he's got a lot of experience, and his presence should help Michigan develop more and more speed on that side of the ball. Another team to watch in the Big Ten is Illinois. Again, it's hard to say that a team who played on New Year's Day just two years ago could be a sleeper, but Illinois should be bowl-bound again. Juice Williams' incremental improvement as a passer should allow him to put up the best numbers of his career this fall. Arrelious Benn is back, and the Illini will be better on defense. Outside of the Big Ten (most of whom are bound to improve after a rather poor 2008), there are a couple of teams worth a real look. It's too easy to jump on the Phil Steele bandwagon, but Rutgers needs to be watched. If they get sound quarterback play, the Scarlet Knights are going to be dangerous. Another team to keep an eye on is Southern Mississippi, though they're obviously not a big-time contender. They could bust down the door of a bigger bowl than New Orleans, thanks to Larry Fedora's absolutely insane offense. Wisconsin runs the ball enough that John Clay isn't going to get the job done by himself. Even going back to the magical 1993 season that started it all in Madison, the Badgers leaned on two backs, and not one. This year should be no different. After a magical freshman season, Zach Brown was lost in the shuffle a bit last year. Part of that was Clay's emergence, combined with the fact that P.J. Hill was still around. Now Hill is gone, and Clay is the feature back. Maybe. Brown has been impressive in fall camp, and it shouldn't surprise Badger fans if Brown becomes a huge part of the offense. HJS has already mastered the obvious, mentioning Florida's visit to LSU. Let's think outside the box. The Gators' coulda-been-crippling loss last year was at home, against Mississippi. This year, there are two home dates worth watching as potential trip-ups for everyone's favorite. The first is Sept. 19 against Tennessee. Yes, Tennessee. Is it likely? No. But I wouldn't rule it out. Lane Kiffin has been playing mind games with the SEC since he got the Tennessee job. It can't be ruled out that he has something special up his sleeve for the Gators. The other is Oct. 17, when the Gators host Arkansas. It's not so much about the coach, but Bobby Petrino has enough experience that he will have his troops ready. It's more about the players. The Razorbacks return a ton of talented players, and Ryan Mallett looks like a potentially great triggerman for this offense. This is one team that Florida will want no part of a shootout with. There are more than a few. Oregon-Boise State should be fun, and that's just in a few days. Another one worth watching is coming up Saturday. If Joe Cox can step in Matthew Stafford's shoes, Georgia should be able to field a very strong offense. Their challenge, however, is going to be finding a way to slow down this crazy offense of Oklahoma State. In Stillwater. SEC versus Big 12 in the opener. Get your popcorn ready. Honestly, I think I'd reinforce Camp Randall Stadium. Whenever the students do the "Jump Around" after the third quarter, the whole thing rocks. Just looks scary. Make the stands a little stronger, and people wouldn't watch and think the thing is going to fall apart. Oh, and let's ramp up capacity to around 100,000 while we're at it. Michigan's resurgence. 3-9 just doesn't work for this program. For Rich Rodriguez, it was an embarrassing start to his tenure, but there is reason for hope. Despite news that the NCAA should be sniffing around the program soon, the Wolverines should still be significantly improved. Either Tate Forcier or Denard Robinson will take over at quarterback, and both should be more than adequate once they get used to the speed of the college game. The true freshmen have a background in the spread offense, unlike incumbent starter Nick Sheridan. Receivers Martavious Odoms, Greg Mathews, and Darryl Stonum all return, as does senior running back Brandon Minor. The line is back intact, and the whole group is motivated to significantly improve after averaging just 20 points per game last year. The usual run of highly-touted prospects will try to fill six vacated starting spots on defense, and former Syracuse coach Greg Robinson now serves as the coordinator. Looks for a big season out of senior end Brandon Graham. The schedule is friendly, with four straight home games to start things off, and only the Penn State and Ohio State home games appear to be out of reach at this point. The Gophers head to the Bank. It may have been a pipe dream for many of his predecessors, but it's a reality for Tim Brewster. TCF Bank Stadium opens for business Sept. 12, when the Gophers host Air Force. The first Big Ten game in the shiny 50,000-seat stadium is Oct. 3, when Wisconsin visits. For Minnesota, getting out of the Metrodome is going to help in many ways. It is tough to compete in recruiting against schools that have glistening on-campus facilities or great traditions that surround the concept of on-campus football. Now, Brewster doesn't have to show recruits pictures, conceptuals, and floor plans. He has the real thing. Don't expect another six-win surge out of this team, which went from 1-11 in 2007 to a 7-1 start that had the college football world talking about the latest coaching superstar. Five straight losses, capped by a 42-21 thrashing by Kansas in the Insight Bowl, left Brewster with much work to do. Former Wisconsin and Nebraska defensive coordinator Kevin Cosgrove and Ronnie Lee will work together to replace Ted Roof on defense, where the Gophers dropped 12 points per game off the 2007 average. Unfortunately, a guy with Cosgrove's pedigree is sometimes only available because of failures, and his last two coordinating stops have not ended well. On offense, Adam Weber will be pushed every day by true freshman MarQueis Gray, who could be starting by mid-season if Weber isn't careful. Expect both guys to be a factor in the offense, which should get better thanks to a healthy Duane Bennett, back from a blown-out knee. Can Iowa break up the two-horse race? As of now, it's hard to imagine anyone winning the league except for Penn State and Ohio State. The best chance for a surprise may come in the form of Iowa. The Hawkeyes have to deal with health issues surrounding sophomore back Jewel Hampton, but they have all the other necessary pieces in place, including a schedule that gives them no major non-conference challenges (Arizona Sept. 19 notwithstanding). What was an unbelieveable defense last year returns eight starters, and should be really good again. Linebackers Pat Angerer and Jeremiha Hunter, along with safety Brett Greenwood and junior lineman Adrian Clayborn will lead the way. Junior Ricky Stanzi is now established as the starter, and if there's any negative with this Iowa team, it's that they won't sneak up on anyone. They didn't rally emphatically from a 3-3 start by accident last year, and the late win over Penn State turned a lot of heads. Big expectations for Terrelle Pryor's sophomore year. Coach Jim Tressel didn't ask too much of the highly-touted freshman last year, and Pryor did exactly what should have been expected. He showed great athleticism, flashed some indecision at times in the pocket, and leaned on his experienced star running back and receivers as much as possible. Pryor is only going to get better from here, and this was a very good start for him. tOSU is always good at reloading, and they have to again, being that Beanie Wells, Brian Robiskie, and Brian Hartline are all gone. Senior Ray Small and junior Dane Sanzenbacher will carry the passing game, while Pryor and Brandon Saine will get the job done with their feet. There's no reason to think a defense that was really good last year, and now returns seven starters, won't be good again. James Laurinaitis and Marcus Freeman are huge losses, but nothing the Buckeyes haven't dealt with before. Plus, when you have Thaddeus Gibson and Cameron Heyward as your ends, you can take time to develop the right linebackers. At Penn State, the quarterback is in place, and so is the running game. Defense hasn't been an issue in years, no matter the personnel lost, so all appears to be just fine for Joe Paterno. Look for middle linebacker Sean Lee, an ACL casualty last year, to have a huge season. ... You just never know about Illinois, but they look to be a solid pick as a surprise team this season. Juice Williams' swan song should feature fewer throws into the turf or to the wrong team, and more to Arrelious Benn and Jeff Cumberland, along with the wonderfully-named Mike Hoomanawaunui. ... Nine wins and a Capital One Bowl berth were nice for Michigan State last season. They could take a bit of a tumble this year, thanks to the loss of quarterback Brian Hoyer and running back Javon Ringer, who scored 22 touchdowns one year after Jehuu Caulcrick had 21. ... What should you expect from Wisconsin this year? You'll have to wait and see. Look for that in the next couple days. ... Northwestern picked up nine wins last year. Look for senior quarterback Mike Kafka, who filled in nicely when C.J. Bacher was hurt last year, to step right in to the spread. The Wildcats, who were more than competitive on defense last year, may have the league's best secondary this season. ... Purdue only went 4-8 in Joe Tiller's final year, and Danny Hope has some work to do. The Boilermakers lost a lot of offensive talent, and the defense was torched far too often last year. That defense may have to lead the way early, as Purdue breaks in a new quarterback and new running back. ... It was back to normal for Indiana last year, after the program's first bowl bid in 14 years. The Hoosiers went 1-7 in Big Ten play, and were blown out by 20 or more points six times. Kellen Lewis was kicked off the team, leaving the quarterback duties to Ben Chappell. Look for redshirt freshman Darius Willis to surprise at running back. What may be more amazing than the fact that UMD won the NCAA Division II football championship last year may be that only two of their 13 games were ever seriously in doubt. This absolutely was not an accident. The Bulldogs dominated most of their foes, winning home and road games by insane margins. This year is likely to be a bit different, no matter the eventual path UMD walks. It's not just about the losses, which are heavy. Star quarterback Ted Schlafke -- a four-year starter -- is gone, as are four-year starting safeties Jim Johnson and Tyler Yelk. It's also about a schedule that will prove to be somewhat tougher, and it's about the big red circles on UMD's back. See, being the hunted is never easy. This football team, however, should find that they are more than capable of handling the pressure. UMD sports a ton of talent around sophomore quarterback Jon Lynch, the new starter. Lynch has a bigger arm than Schlafke, and he learned a lot working as the backup last year. It would be impossible to be on the same team as a guy like Schlafke without learning a lot. Lynch gets to hand off to junior running backs Isaac Odim and Brad Foss. He will throw to junior Noah Pauley and sophomore D.J. Winfield. He will take snaps from center Tobias Lemke and get protection from senior Sam Whitney. There are familiar faces all over. Kiel Fechtelkotter, the man who ended the Grand Valley State upset with a double-overtime interception, is back at inside linebacker. His partner, Robbie Aurich, also returns. Cole Strilzuk and Brandon Wood are back at cornerback. In case you're wondering, sophomores Cody Eich and Brad Just are the listed starters at safety, replacing Johnson and Yelk. No one expects them to truly replace that tandem, and Yelk will be around to do what he can to help them be their best (he's a graduate assistant). On the sideline is veteran coach Bob Nielson. The UMD athletic director has won everywhere he has coached, including UMD. Memories of the national championship season will last forever with UMD fans, but Nielson understands that the team can't live off that championship for one second. This is a new season, and if the Bulldogs are to do anything remotely close to repeating, they have to take every opponent seriously, no matter what the final score was last year. A home game with Central Washington on Thursday is UMD's only non-conference game, and it's a doozy. The NSIC schedule includes a road date with old rival Winona State, and the Bulldogs also have to deal with a solid Augustana team. They also have to deal with the target. Nielson will have them plenty ready. There was an interesting trade made in the NHL Friday. For the San Jose Sharks, it's one of those moves that makes you think they have something else cooking. The Sharks dealt experienced defensemen Christian Ehrhoff and Brad Lukowich to Vancouver for two prospects. One of those prospects is Grand Rapids native and current Minnesota Gopher Patrick White. In his first two seasons at Minnesota, White has not been terribly impressive, amassing 13 goals and 26 points in 81 games. He does have a load of talent, though, and that's why the Canucks drafted him in the first round back in 2007. They gave him up in order to retool their defense a little bit. The Canucks lost Mattias Ohlund in free agency, and found no suitable replacement. Lukowich is more of a grinder, but Ehrhoff has some offensive ability. He could be a fit with the Canucks. For San Jose, it seems to be a salary dump. The Sharks get two players -- defenseman Daniel Rahimi joins White in the trade -- who are not likely to contribute much to the NHL club. They gave up two established NHL defenseman who combine for nearly a $5 million cap hit. Is this the precursor to a prospects-for-Dany Heatley trade? It's not like Heatley wants to be in Ottawa, and there have been rumors he would accept a deal to San Jose. It's hard to imagine the Sharks wanting to deal with a two-way (on-ice and off-ice) cancer, but maybe they feel a talent like Heatley can put them over the top in the Western Conference. After all, Heatley does have a Stanley Cup Finals trip on his career record, unlike most everyone on the Sharks roster. If you've ever been to Marquette, Mich., you probably have some respect for what the Northern Michigan University men's hockey program has accomplished over the years. It can't be the easiest place to recruit to, but the Wildcats have formed a strong tradition, and they back it up with a good, competitive program, a nice rink, and a fun fanbase (led by the Puckheads). Walt Kyle is the current coach, and he's done a nice job. A huge second-half surge left the Wildcats just short of NCAA consideration last year, but it built a solid foundation and higher expectations for this season. The story of the summer, though, was the university's decision to stay put in the CCHA, eschewing a potential courtship with the expanding WCHA. The North Wind -- a student newspaper -- talked to Kyle about the decision. "We think we're in arguably one of the best conferences in the country right now," Kyle said. "When you compare [the two leagues], our league has certainly been more successful at putting teams in the national tournament." Well, the above statement is absolutely true, if you think that having more CCHA teams in the NCAA Tournament than WCHA teams twice in ten years means the CCHA is more successful. I understand why Northern Michigan would want to stay put. The high amount of NMU alumni in lower Michigan means that they can stay better-connected to their alumni base by continuing to play in the CCHA. Please, guys, don't give us false statements as reasons for a completely understandable move. Makes us think you're afraid to have made the wrong decision or something, and that's likely not the case at all. As if a recent series losses to the likes of San Diego (twice), Pittsburgh, and Washington weren't bad enough, the Milwaukee Brewers have clearly dropped off the face of the earth. Suddenly, their biggest problem isn't the first baseman charging towards an opponent's clubhouse to kick the living hell out of a pitcher who threw at him. It's also not the star left fielder popping off about the bad pitching. No, now it's the team being, well, awful. The Brewers are 15-26 in day games this season, 19-31 overall since July 1, and just got swept by a team that gave up the ship a month ago (Cincinnati). Things have gotten awful in Milwaukee, reminiscent of past losing efforts that often blew up in the second half. The pitching staff had a razor-thin margin for error this season. Anytime you enter a season with Jeff Suppan as your opening-day starter, things are bound to go wrong. The Brewers have Yovani Gallardo, but he's the only starter who has pitched like a major-league pitcher this season. Dave Bush was okay before he was injured, and as he proved in Thursday's latest Brewer Meltdown, he is still overly prone to huge and disastrous innings out of practically nowhere. If that's not bad enough, the bullpen has completely lost the ability to get people out consistently. Guys like Mark DiFelice and Mitch Stetter were steady early in the season, but have crumbled in the wake of a ridiculous workload. That workload was caused by the starters. Even Gallardo is completely incapable of pitching into the seventh inning on a consistent basis, and the relief pitchers are often responsible for five or more innings in a game. That will happen when Suppan, Manny Parra, and Mike Burns are taking regular rotation turns. None of them are good enough to be able to do this, and all of them have had more than their share of awful starts this season. It's a plague that's likely affected the offense. After all, it's tough to know that you need seven or eight (or 15) runs to win games, even against bad teams. Outside of Prince Fielder and Ryan Braun, not one of the Brewers' hitters has had a great season. Mike Cameron can't hit for average. Jason Kendall can't hit. Craig Counsell and Casey McGehee have been good, but neither of them should be expected to play every day. Corey Hart wasn't hitting when he had his appendix. J.J. Hardy hit so well that he got sent to the minors. This team isn't going to the playoffs. They'll be lucky to finish anywhere near .500. Hopefully, the newly-started playoff drought doesn't last as long as the last one did. If you think about it, this is about the only time in a student-athlete's life where a C is something to be celebrated. Center Drew Akins, who enjoyed his most productive season as a collegian last winter, will captain the reigning Western Collegiate Hockey Association playoff champion University of Minnesota Duluth Bulldogs in 2009-10. Fellow senior Jordan Fulton and junior defenseman Mike Montgomery have both been entrusted with assistant team captaincy responsibilities for the upcoming season. Akins, a native of Excelsior, Minn., has been a fixture on the Bulldog front line the past three seasons, including in 2008-09 when he collected five goals and 10 assists for a career-high 15 points while taking part in all 43 games. He also had a pair of power play tallies to his junior-year credit and topped UMD in both penalties (33) and penalty minutes (82). Fulton also established a personal best for scoring last winter, closing out the year with 17 points. The left winger from Brooklyn Park, Minn., ranked fourth among 2008-09 Bulldogs in goals (12), second in game-winners (three), fourth in shooting percentage (.130) and seventh in plus-minus rating (plus-6). Montgomery was relocated to defense one year ago after being deployed as a reserve right winger the previous season and responded to his new assignment by racking up 10 points on two goals and eight assists in 42 games while finishing a plus-10. For his efforts, the Lino Lakes, Minn. product was bestowed with the Mike Sertich Award (UMD's Most Improved Player). The Bulldogs, who posted a 22-13-7 overall record last winter and advanced to the finals of the NCAA West Regional, will kick off 2009-10 by taking on the University of British Columbia in a home exhibition clash on Oct. 3 before launching their regular season schedule the following weekend against Lake Superior State University and Northern Michigan University at the Duluth Entertainment and Convention Center. When the countdown gets under 40 days, as it is now, it's time to get excited. Notre Dame's revival. It didn't look good last year. They lost to Syracuse, and had to take a bid to the Hawai'i Bowl (no offense, but that's not a bowl you expect to see Notre Dame in). This year's team should be much better. Quarterback Jimmy Clausen appears to get it now, and he has a ton of talent around him. Receivers Golden Tate and Michael Floyd have NFL ability, and junior running back Armando Allen looks like a good one. Charlie Weis has loaded the offensive line with top players, and the only question is at left tackle, where Paul Duncan has to get settled in. There are a few more question marks on defense, but safety Kyle McCarthy and true freshman linebacker Manti Te'o should emerge as the top players. Redshirt freshman Kapron Lewis-Moore may get a chance to start on the line. Weis has a typical Notre Dame schedule, meaning there are landmines and cupcakes. The Irish only play four true road games, adding in a neutral site game (this year it's Washington State in San Antonio), so it's not ridiculous to suggest that Notre Dame will return to a BCS bowl after two years away. Navy is nothing if not consistent. Fears were abound that Paul Johnson's departure would hurt the Midshipmen. Instead, first-year coach Ken Niumatalolo kept everything going quite well. Navy won eight games and got to a sixth straight bowl game. The Middies played great defense for much of the season, thanks to guys like linebacker Ross Pospisil and defensive end Matt Nechak, both of whom are among seven returning starters. Navy does have to find a new triggerman -- likely junior Ricky Dobbs -- for their option offense, along with new faces at two of the other three backfield positions. That work-in-progress offense opens at Ohio State and plays at Pittsburgh in their third game. However, Navy has always fielded a solid offensive unit, no matter how many starters they had to replace. It's an offense based on discipline and timing, not talent. Expect to see Navy again contending for a bowl bid, despite their tough schedule. The triple option returns for real. Last year, Stan Brock tried to commit to the option offense at Army. It didn't go well, as the Black Knights had no threat through the passing game. A more modern version of the option should be on display at West Point this season. Former Cal Poly coach Rich Ellerson took over for the fired Brock. Ellerson's offense is based on the option, but there is a serious passing component to it. The Mustangs threw the ball all over the place last year, so much so that receiver Ramses Barden got enough attention to be a third-round pick in the NFL Draft. It shouldn't take long for Ellerson to get things going his way at Army. His first experiment involves six-foot-ten Ali Villanueva, who is now a receiver. If junior quarterback Chip Bowden can figure out a way to get him the ball down the field, Army's offense could create a real positive buzz for the first time in years. Boise a national contender again. In 2008, an unbeaten Boise State team was "relegated" to a game against TCU in the Poinsettia Bowl. The Broncos fell 17-16, as their high-octane offense was effectively slowed by TCU's swarming defense. That said, even with the skill talent that Boise lost, they should be a heavy favorite in the WAC. With non-conference games against Oregon and Tulsa, the BCS is a more realistic goal this time around. Junior running back Jeremy Avery, who has seen plenty of playing time in the last two years, takes over the starting position vacated by Ian Johnson. Sophomore quarterback Kellen Moore has plenty of targets to choose from, including junior receiver Austin Pettis. On defense, nearly the entire secondary returns after allowing just 190 pass yards per game last year. There is work to be done to reload the front seven, but the Broncos do have All-WAC end Ryan Winterswyk back. Three years removed from their Fiesta Bowl stunner over Oklahoma, it looks like Boise State could return to being a BCS contender. It helps that fellow WAC contender Nevada has to visit Boise this year, but maybe that doesn't matter. After all, the Broncos are 54-2 in WAC play over the last seven years. Nevada makes their move. It doesn't look like it will be good enough to win the league, but Nevada figures to field their best team in many years this fall. The Wolf Pack have 14 starters returning to Reno, and all the major players are in that group. Quarterback Colin Kaepernick was the league's Offensive Player of the Year last year, totaling nearly 4,000 yards and accounting for 39 touchdowns. Also back is junior running back Vai Taua, who ran for over 1,500 yards and 15 touchdowns last year. Leading receiver Marko Mitchell is gone, but junior Chris Wellington caught 42 passes last year, and he figures to emerge as Kaepernick's favorite target. On defense, Kevin Basped and Dontay Moch combined for 21.5 sacks last year, and leading tackler Jonathan Amaya, a senior safety, also returns. The schedule is very tough, with trips to Notre Dame and Colorado State and a home game against Missouri. Count the WAC schedule, and Nevada plays seven games against 2008 bowl teams, four of those on the road. All told, this should be Chris Ault's most talented team, and the experience at key positions should help the Wolf Pack approach ten wins. Rebuilding continues at Utah State. The Aggies are almost in a perpetual rebuild, but there's reason to think that the rebuild is going to lead to something good this time. Brent Guy couldn't clean up the Aggies' play on the field, but he cleaned up the recruiting, and he was able to get some pretty good players to go to Logan. New coach Gary Andersen, a former defensive coordinator at Utah, takes over now, and he has 48 returning letterwinners to work with. Among them is quarterback Diondre Borel, who showed flashes of brilliance and will only get better as he continues to tone his body and his game. Senior receiver Xavier Bowman looks like he's ready to take over as the top target, and the offensive line returns four starters from a unit that only allowed nine sacks over the team's last five games. Defensively, Andersen inherits a group that was a mess last year, but will benefit from the new coach's background. Only when the Aggies start stopping people with more regularity will Utah State's fortunes really improve. They haven't allowed under 30 points per game since 2003, and they're on a streak of four straight years allowing over 400 yards per game. The offense should keep getting better, though, and if Utah State can survive insane road trips to Utah, Texas A&M, and BYU over their first four games, bowl eligibility is a remote possibility. Fresno State keeps on going. While Fresno hasn't won a conference title in 20 years, they have developed quite the reputation around college football. The Bulldogs have pulled some upsets over the years, won a few bowl games, and are almost always a postseason contender in the WAC. As Pat Hill tries to replace quarterback Tom Brandstater with junior Ryan Colburn, he finds stability all over the field. The only major questions are an offensive line that lost both starting tackles, and a schedule that includes road trips to Wisconsin, Cincinnati, Illinois, and Nevada. Fresno State will run the ball well with Ryan Mathews and Anthony Harding, and Colburn should have more than enough guys to throw to. The defense of last year shouldn't be the same, as eight starters return in an effort to show they're not the horrible unit that gave up over 30 points eight times in 13 games. Eight wins and a bowl trip made for a nice season at Louisiana Tech. With nine starters back on offense and seven more on defense, the Bulldogs could be even better. The key will be quarterback Ross Jenkins improve his accuracy while holding off Auburn transfer Steve Ensminger. ... A loss to Fresno State in their season finale meant that San Jose State was left home for the bowl season. Don't count on that happening again, as the Spartans return a lot of talent. Look for senior quarterback Kyle Reed to have a big season, especially if he can find a suitable target to replace leading receiver David Richmond. ... Hawai'i rode their defense to a bowl bid last year, sort of. The offense lost almost 20 points per game from the previous season, and it's hard to imagine the Warriors will magically be as potent as they were under June Jones. Now they have to deal with nine new starters on defense, too. It could be a tough year in Honolulu. ... Robb Akey is in his third year at Idaho. If he has any luck, he'll be around longer than that. Even though Akey is just 3-21 so far, his team has shown some signs of potential improvement. That said, progress is measured in wins, and the Vandals don't figure to win many this year, despite a slew of experienced players and a fairly talented signal-caller in Nathan Enderle. ... New Mexico State starts over this year. Hal Mumme and his crazy offense are gone, and Dewayne Walker takes over. He'll tone things down, try to get the Aggies to run the ball for more than the 55 yards per game they had last year, and the former UCLA defensive coordinator will get to work trying to build a respectable defense in Las Cruces. Tony Franklin's arrival in Murfreesboro. It wasn't exactly as big as Lane Kiffin in Knoxville, but Franklin's hire by Middle Tennessee made headlines, and it could create a change atop the Sun Belt. The Blue Raiders will now run Franklin's wide-open spread, and he won't have to worry about alumni, administrators, or head coaches getting in the way (hi, Auburn!). He also won't have to worry about finding any talent. Philip Tanner ran for 15 touchdowns last year, the top receivers are all back, and Franklin simply needs to groom the right quarterback. That guy could end up being Dwight Dasher, if he improves his horrific accuracy from last season. On defense, the Blue Raiders bring back leading tackler Danny Carmichael and all-conference safety Jeremy Kellem. Early trips to Clemson and Maryland are survivable, and MTSU might be able to split those. An Oct. 6 Tuesday night game at Troy could define the Blue Raiders' title chances. FIU's continued improvement. Just two years ago, the Golden Panthers were a laughingstock of college football. They were coming off a season where they averaged under ten points per game, went 0-12, and were involved in a humilating on-field fight at Miami. Mario Cristobal has changed much of the perception surrounding this program. They won just once in 2007, but went through some of the growing pains necessary to build a program the right way. Last year, FIU won a non-conference road game for the first time since their move to Division I-A (er, FBS), as they beat Toledo 35-16. FIU opened a new on-campus stadium, played competitively for much of the season, and look to be even better this season. The next hump is the toughest one to get over, as Cristobal looks to get Florida International into bowl eligibility. Senior quarterback Paul McCall needs to take even better care of the ball, and FIU has to find a running game somehow. The defense features a lot of youth, especially in the front seven, but it's a group that played some of its best football down the stretch last year. Beating on the new guy. Last year, Western Kentucky played five games against Sun Belt teams, the final year before becoming a full member of the league. The Hilltoppers went 0-5 as part of their 2-10 season, and they were outscored 140-80, an average margin of 12 points per game. Things should get better this year, but don't look for WKU to crack the upper half of the league. A defense that got pounded last year lost seven starters, including leading tackler Travis Watters and two cornerbacks. With a freshman (Kawaun Jakes) possibly taking over at quarterback, the onus is on running back Tyrell Hayden to stay healthy and have a productive senior season. The schedule is a bit lighter, with trips to Tennessee and Navy the only daunting roadies, as opposed to the Indiana/Alabama/Kentucky/Virginia Tech gauntlet they had to deal with last year. WKU is still probably a year or two away from being seriously competitive in the Sun Belt. Troy's dominance continues. There are teams like Arkansas State and Middle Tennessee ready to knock them off, but can they? Troy sports a top quarterback in Levi Brown and a solid running back in DuJuan Harris. Not only that, but leading receiver Jerrel Jernigan is now joined by Oklahoma transfer Josh Jarboe, who could be lighting up SBC defenses pretty quickly. An experienced offensive line should keep Brown well-protected (Troy quarterbacks took just 13 sacks last year, and the line kept a clean sheet in five games) while opening plenty of lanes for Harris, who is also becoming a solid receiving option out of the backfield. Defensively, the Trojans have to replace six starters, but they've always been pretty good at rebuilding on that side of the ball. Linebacker Boris Lee and cornerback Jorrick Calvin should emerge as the leaders this year. The Trojans don't have much of a shot to be a BCS buster because of the Sun Belt's stature, but they do have a shot to shock the world Sept. 12, when they play at Florida. Remember, Troy led LSU 31-3 in the third quarter last year before giving up 37 straight points. 15 starters are back at Arkansas State after last year's team fell just short of a bowl. Seniors Corey Leonard and Reggie Arnold lead the way from the offensive backfield. ... If Rusty Smith can stay healthy and continue to be effective, Florida Atlantic should be able to challenge for a top spot. The Owls get Middle Tennessee and Arkansas State at home, but early trips to Nebraska and South Carolina could hurt their confidence. ... Leader Kinsmon Lancaster is gone, but Louisiana-Monroe brings back 17 starters. Finding a quarterback is a key to bowl eligibility, as is finding a way to diversify the offense. Too much was placed on Lancaster's shoulders. ... Louisiana-Lafayette also loses their offensive stars, as quarterback Michael Desormeaux and running back Tyrell Fenroy are gone. The Ragin' Cajuns face long odds if they want to overcome these losses, as the two combined for over 4,000 total yards and 37 touchdowns. ... After years of respectable defense under Darrell Dickey, Todd Dodge has seen North Texas become a joke on that side of the ball. They've won three games in two years under Dodge, and they've allowed fewer than 30 points exactly twice in those 24 games. It doesn't matter how good the Mean Green become at running the spread with quarterback Riley Dodge (Todd's son). They have to learn how to stop people. Now. Florida's drive. One of the commonly-held beliefs that runs against the chances of a team repeating a championship is that teams that win become complacent. No such problem with the Gators, thanks to coach Urban Meyer and quarterback Tim Tebow. The Gators were put through an insane offseason program, with the idea being to keep their focus and make sure they were ready to compete for another championship. Is it enough? Most people believe so, considering the Gators return their entire two-deep on defense -- led by guys like linebacker Brandon Spikes and cornerback Joe Haden -- and have a two-time national champion quarterback who is digging for a second Heisman while chasing the label of "greatest college football player ever." There is speed and high-level talent all over the field, and ringleader Meyer isn't taking his foot off the gas. To add to things, the verbal war Tennessee coach Lane Kiffin started with pretty much the entire city of Gainesville can only help the Gators in their preparation. If Florida fails to win again this year, it will likely be due to injuries or the fact that Meyer's master motivation plan didn't work the way he envisioned. Lane Kiffin's mouth. While it was welcomed with open arms by success-hungry Tennessee fans, Kiffin's bombastic presence has created waves elsewhere in the SEC. He ticked off Florida with allegations of cheating, and he told a recruit that if he went to South Carolina he'd be "pumping gas for the rest of his life." Kiffin was right in that his program was in dire need of the kind of recruits national attention can bring you, but it wasn't a good first impression to make on the rest of the league. Now, it's up to Kiffin's players, many of whom will be first-year college athletes, to make the coach look good. It's expected that Jonathan Crompton will start at quarterback again, and upperclassmen like Austin Rogers and Joff Cottam present the top targets for the senior. Their job will be to reignite an offense that scored two touchdowns per game fewer than the year before. Because of that, one of the nation's better defenses could do nothing about the Vols' poor season. LSU on the rebound. In Les Miles' first three seasons at LSU, he lost a total of six games. In 2008, the Tigers lost five, including blowout losses to Georgia and Mississippi at Tiger Stadium. Former Tennessee assistant John Chavis -- architect of the aforementioned top-notch Volunteer defense -- takes over the LSU defense this year. Improvement should be swift, as the Tigers have the athletes to play the same kind of defense they played during their national championship season of 2007. It doesn't hurt that Chavis can build his scheme around guys like All-America caliber defensive end Rahim Alem, a pass-rushing machine. Offensively, the Tigers were solid last year, and should only improve as sophomore quarterback Jordan Jefferson continues to develop. He hit just under 50 percent of his throws as a true freshman, so he really has nowhere to go but up as a passer. His athleticism is superb, but that doesn't matter if he can't throw accurately. Expect another big season from receiver Brandon LaFell. Mississippi goes Nutts. Ole Miss' turning point came in The Swamp. After a so-so 2-2 start that included a home loss to Vanderbilt, the Rebels headed to Florida. A game against the fourth-ranked Gators showed Ole Miss as a 22-point underdog, but they didn't care. Head coach Houston Nutt got his team ready, and they played with poise and determination against a foe thought to be far superior. Thanks to some uncharacteristic Florida mistakes and the ability of Jevan Snead to direct the offense, the Rebels upset Florida 31-30. It was the turning point for two teams, as the Gators went on their national title run from that point, and the Rebels would lost just two more games (the next two they played, actually, to South Carolina and Alabama). A 31-13 win at LSU cemented the rally, and the Rebels went on to beat Texas Tech in the Cotton Bowl. It was an impressive rally from a slow start, and Ole Miss fans hope it's just the springboard to a bigger season in 2009. Snead is back, as is wide receiver/slotback Dexter McCluster. He teams with Cordera Eason to provide the punch on the ground, as well as working as a top receiver. Athletes like Kentrell Lockett, Marcus Tillman, and Kendrick Lewis lead the way on defense. If Ole Miss can survive a home gauntlet that includes Alabama, Tennessee, and LSU, they are in great position to play for the SEC title. It will be very difficult to replace Matthew Stafford at Georgia. However, fifth-year senior Joe Cox has a great grasp of Mark Richt's offense, and he appears to have gained quick acceptance as the new leader. ... No one could have guessed that Steve Spurrier would have so many problems at the quarterback position. Everything else at South Carolina appears to be in good shape, but if he can't find a way to get sophomore Stephen Garcia (pictured) to play more consistently, it's going to be a long season. ... Despite having nearly everything against him, including probation, when he started, Rich Brooks has done a great job at Kentucky. His team has rewarded him with three straight bowl trips, even though they've struggled against the SEC elite. Junior quarterback Mike Hartline returns, and most of his weapons are back with him. ... Vanderbilt broke a 26-year bowl drought last year, and beat Boston College in the Music City Bowl. They did it on the strength of a defense that only allowed 19.6 points per game. A bowl repeat is a possibility, as nine starters are back on that side of the ball. However, the Commodores need more of an offensive contribution to fight off a tough schedule. ... For Alabama, it was a sour ending to a storybook season. The Tide were 12-0 before an SEC Championship loss to Florida and a Sugar Bowl waxing by Utah. After the Utes walked all over the defense, that unit should be plenty motivated to rebound. They'll need to, as seven starters -- including quarterback John Parker Wilson, running back Glen Coffee, and mammoth tackle Andre Smith -- are lost from the offense. ... It didn't take Bobby Petrino long to get settled in at Arkansas. 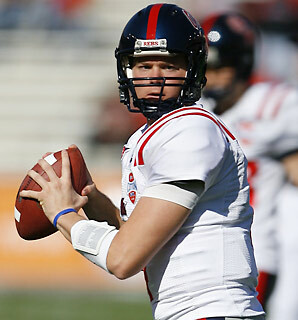 The Razorbacks are loaded on both sides of the ball, and Michigan transfer Ryan Mallett takes over the offense. It might be too much to ask for Arkansas to crack the upper half of this loaded division, but this team is capable if they get some breaks. ... Things are a bit of a mess at Mississippi State, but they won't be for long. Former Florida assistant Dan Mullen takes over, bringing in his spread offense. Once he finds a quarterback, the Bulldogs will be on the rise ... Snickers came from all over the college football world when Auburn hired Gene Chizik -- 4-19 as a head coach -- to take over for the fired Tommy Tuberville. Stranger things have happened than Chizik being successful, but it looks like it might be a couple years before the Tigers can catch up with the rest of the West. While the Vancouver Canucks experienced a sort of renaissance last season, it wasn't all rosy for former UMD Bulldog Mason Raymond. After a hot start to the season, Raymond's offensive production died off, and he finished the season with only 11 goals and 23 points. The season wasn't a complete loss for Raymond, however. That was because he developed his two-way game, and became such a reliable player in his own zone that the Canucks were using him as a top-four penalty-killing forward during the playoffs. Anyone who watched Raymond at UMD wasn't surprised. Along with Bryan McGregor, Raymond was called on to use his vast offensive skills and skating ability as a penalty-killer during his sophomore season as a Bulldog. Because of that speed, Raymond is never truly out of a play. At the pro level, Raymond has shown good instincts in the defensive zone, and now he recognizes that it's time to bring that offensive game around to form. He called this upcoming season a "big year." And it is. Raymond is entering his third season, and no longer can be considered a kid on this team. "I've gone through my younger years," Raymond said. "I expect a lot of myself right now. I know I can be better on and off the ice. "Every year, you want to be better as player. I feel I've worked hard in the summer. "I am trying to get stronger, faster, and doing everything I can to be better. For me this is a big year. "As far as my goals, there are things I will keep to myself. But I will tell you I want to be good night in, night out. I want to be counted on in every game." 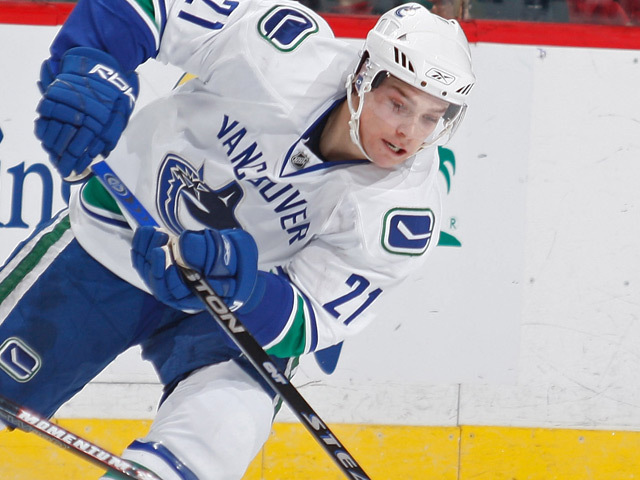 Raymond and the Canucks open the regular season Oct. 1 at Calgary. After a one-year sabbatical, UMD's athletic department is back to hosting luncheons before home sporting events. The first of these will be on Friday, in advance of the Bulldog football team's home opener against NSIC rival Concordia-St. Paul. The luncheon starts at Noon at Grandma's Sports Garden in Canal Park. Cost is $8 for a lunch buffet. It'll be a chance to meet the UMD coaches, talk football, and get the heck out of the office for a little while on a Friday afternoon. We'll post the full schedule of luncheons once it's available. Also, remember that all local sports schedules and updated results can be found on the left-hand side of this blog page all season. This will include hockey once we're closer to the start of the season. The first football games that count (in the United States, that is) will be played this weekend. Not only does UMD open defense of their NCAA Division II title Saturday, but Wisconsin high school football teams open up with a full slate of games Thursday and Friday. We'll delve into that schedule, as well as UMD's prospects, later this week. It's not quite as much fun as March Madness, but there is something to be said for the first week of football season. Hope, of course, springs eternal. Everyone thinks they can be good. Everyone thinks they can do what teams like UMD, Mount Union, Sioux Falls, and the Pittsburgh Steelers did. That's the goal, but only a select few will reach it. While everyone thinks Florida is going to win the BCS title, not even that is a certainty. Teams are lined up around the country, hoping for a chance to knock them off their perch. It's football season. Feel it. Oh, and hockey preseason magazines should be out in the next ten days. There's that, too. GREEN BAY -- Since the family is in Green Bay for the weekend, expect posting to be light. Practice Thursday night was interesting. Aaron Rodgers looked sharp, and there are a few young players who have a real chance to make this team. I was particularly impressed by rookies Kole Heckendorf and Brad Jones. Expect to see Jones some in Saturday's game against Buffalo. He should be able to make the roster as a spare linebacker and special-teamer. Heckendorf isn't going to be so lucky, but expect to see him on the Packers' practice squad this fall. He's a good player. Brian Cook of the wonderful MGoBlog is again doing his wildly successful BlogPoll over at CBSSports.com this season. We're proud to take part once again. Here is the preseason ballot, which is due Monday. I'll be in Green Bay starting Thursday, but will update the ballot based on arguments made in this space. Please participate in the discussion. It's a preseason ballot, so not much time was put into dividing up the last ten or so teams. It's very fluid and open to discussion. Florida is the consensus No. 1, and they're in that spot for a reason. It's going to take a lot to convince most voters they don't belong. Texas is the pick right now to go unbeaten and meet Florida. That's a tough call, however, as Texas plays in the Big 12 South, and they're not facing a cakewalk schedule by any means. BYU is the top-rated non-BCS team, at No. 10. This looks like a very strong BYU squad, one that can threaten the BCS if they are able to beat Oklahoma Sept. 5. Again, the final ballot comes due on Monday, so any changes will be made and posted by then. As a Packer fan, the instinct is to extend a middle finger into the air when discussing Brett Favre. Really, it is. This isn't Ryan Longwell, who was awful in a contract year and decided he couldn't stand being outside anymore. This isn't Darren Sharper, who blew more coverages and missed more tackles than anyone with his salary should ever be allowed to, and then moved on. Instead, it's the Packer icon. The face of the franchise for more than 15 years. A guy who will someday work again with or for the Packers, in some capacity, just like seemingly all the other former Packer greats have. And the Minnesota Vikings are their biggest rival. This isn't to knock the Chicago Bears, who have the history. That rivalry just isn't the same, because our generation didn't grow up with it being competitive. It was dominated for many of our childhood years by the Bears, and then the Packers won what felt like 30 matchups in a row. The Vikings are farther away from Green Bay, but many Packer fans live closer to the Twin Cities than they do Chicago. 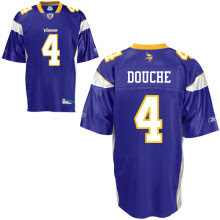 For them, there's only one NFL team to truly despise, and now Brett Favre plays for them. It becomes more difficult to accept when you hear Favre and "Chilly" (Vikings head coach Brad "Deer Camp Time" Childress, who has evidently forgotten how to groom himself) talking about the timeline of events that brought us to this moment. You're supposed to just accept that Favre informed the Vikings of his decision to remain retired on July 28, then proceeded to keep working out and actually spoke to noted surgeon Dr. James Andrews about his shoulder issues. On Monday, Childress then called Favre and asked him if he wanted to play. Seriously. That's all there is to it. As noted by PackersNews.com, this is far-fetched at best. It's just too convenient. The idea that Childress sprung this on his owner Monday, or that he didn't bother to tell his players until Tuesday, well that's also hard to believe. Instead of Favre being a man, and admitting he just didn't want to take part in training camp (like virtually every other estabished NFL player), he threw his daughter and new coach under the bus. He acted like he never would have signed if Childress hadn't called him Monday, and he wouldn't have made the move if his daughter hadn't asked him to go win another Super Bowl. Then again, if you watch the video from Tuesday's practices and subsequent media availability, you'd think someone shot Sage Rosenfels' dog before he got in front of the cameras. Maybe he really didn't know. 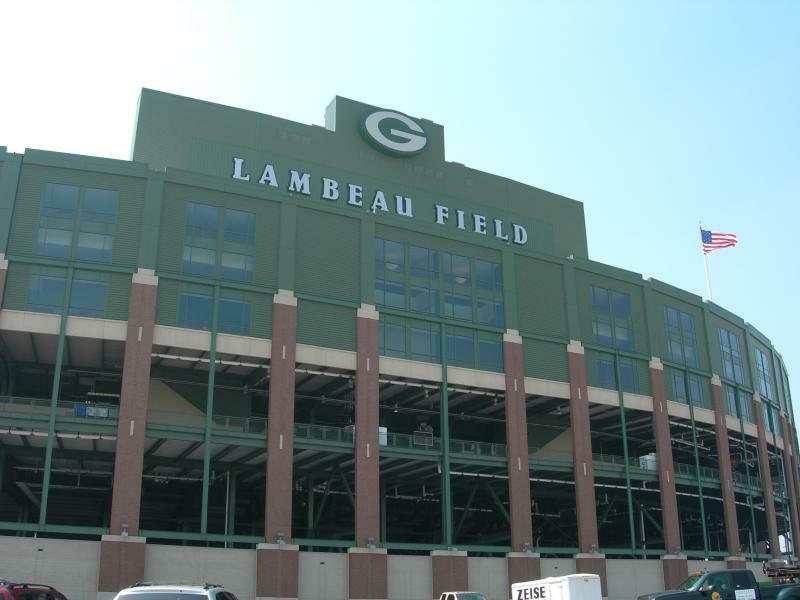 As for the fans, it's suggested that they take on the same attitude the Packers have had. When Mike McCarthy says "If Brett wants to play, he should play," it sounds a helluva lot like "Bring it on, old man." So whaddaya think, Packer fans? If you're interested in taking advantage of the increase in coverage of English soccer in the United States, you'll need this info. Courtesy of EPLTalk.com, here is the U.S. broadcast schedule for the English Premier League through November of this year. Stay tuned for information from December through the end of the season in the spring. It should be noted that Setanta US is a pay channel ($15/month for DirecTV subscribers), but the others are available on many cable or satellite packages. Those with high-definition capabilities will be able to get the ESPN matches in HD, from what it appears. Futility in the Pacific Northwest. It's simply amazing how far Washington and Washington State have fallen. As recently as 2002, both were in prominent bowl games, as Washington played in the Sun Bowl and Washington State earned a Rose Bowl berth. Last season, they combined for just two wins (both by Washington State), and may have been the two worst teams in all of Division I-A (er, FBS). Washington was outscored by an average of 38.6-13.3, while Washington State was even more hopelessly inept, losing by an average of 43.8-12.7. Paul Wulff is in the second year of his Wazzu rebuilding effort, and you can expect them to be more competitive, even if they only win two or three games. Meanwhile, Washington hired former USC assistant Steve Sarkisian to pick up the pieces from the Tyrone Willingham disaster. If Sarkisian gets a full season out of junior quarterback Jake Locker, and his team can survive the LSU/USC/Stanford/Notre Dame gauntlet (latter two on the road) over the first five weeks of the season, the Huskies could surprise. USC's dominance continues. They've done it all before. Whether you ask the Trojans to replace top defensive players who have moved on to the NFL, top offensive players, or top coaches, they do it almost seamlessly. Would you have ever known Matt Leinart left, or Carson Palmer before that? Did the defense skip a beat after Shaun Cody, Mike Patterson, or Troy Polamalu moved on? It's all old hat for Pete Carroll, who simply restocks at key positions with the top recruits in the country. Out goes Mark Sanchez, and in comes either Aaron Corp or Matt Barkley. Lost Rey Maualuga, Clay Matthews, and Brian Cushing, that's fine. They'll just plug in Malcolm Smith, Marquis Simmons, Chris Galippo, and Michael Morgan. Senior safety Taylor Mays returns after an All-America season, and there's no question he will be the leader of the defense. Whether Corp or Barkley start the opener against San Jose State, Stafon Johnson, C.J. Gable, and Joe McKnight will play a huge role in the offense. When they leave, Carroll will just move down the line and put the next great Trojan in the starting lineup. Cal returns to contention. If a 6-3 conference record equates the end of a down spell, most teams would love the down spell. For California, a return to conference title contention is likely to happen this year. The Bears need to pick a quarterback -- bet on Kevin Riley holding the job this time. Of course, a big part of Riley's job will be to simply turn around and give the rock to Jahvid Best. The 1,580-yard rusher returns for his junior season as a top Heisman contender. He shouldn't have to carry the offense, as senior receivers Nyan Boateng and Verran Tucker both return. Look out for freshman tight end Spencer Ladner, who has the potential to be a really good player. The defense was a rock last year, allowing only 315 yards per game. They could actually improve, thanks to a group of eight returning starters that includes top cornerbacks Syd'Quan Thompson and Darian Hagan, along with pass-rushing tackle Tyson Alualu. A schedule that includes visits from USC and Oregon State is favorable for a conference title run, but it's doubtful the Bears will actually topple the USC machine. Is Stanford ready? Many -- mainly Michigan fans -- have ripped coach Jim Harbaugh for his rather brash nature when speaking in public. What the detractors can't deny is that he's worked hard to point the Stanford program in the right direction. After inheriting a team that was outscored by an average of three touchdowns per game in 2006, Harbaugh has taken on the slow build to respectability. The Cardinal were virtually even with their opponents in points last year, and the offense has improved by 120 yards per game over two seasons. The next step is to take the next step, and get this program into a bowl game for the first time since the 2001 Seattle Bowl. Redshirt freshman Andrew Luck is the new starting quarterback, with two-year starter Tavita Pritchard now a backup. Luck has to get comfortable in a hurry, as the Cardinal play their first two on the road. Seven home games out of the last ten will follow that, and the ability to navigate through some tough games (seven opponents won bowl games last year) will determine Stanford's bowl viability. UCLA thinks they can make a run at USC this year. Redshirt freshman Kevin Prince is expected to stabilize a quarterback position that was responsible for just eight touchdown passes and 21 interceptions last year. All the other pieces are in place on offense for serious improvement. ... It's nice to see multiple preseason rags saluting Oregon State coach Mike Riley. His teams are never picked to finish high in the Pac-10, but they're always competitive. Jacquizz Rodgers tries to build off a magical freshman season in 2009. He ran for 1,253 yards and 11 touchdowns last year. ... Arizona lost star quarterback Willie Tuitama off their eight-win squad, but junior running back Nic Grigsby returns. The defense, stellar in the second half of their bowl win against BYU, has seven starters back. ... Mike Bellotti is now the athletic director at Oregon, leaving the head coaching duties to former offensive coordinator Chip Kelly. Kelly inherits some great talent, especially on offense, but it's a daunting schedule that starts with a Thursday night opener at Boise State. ... A subpar 5-7 season included a stunning home loss to UNLV and a blowout loss at Arizona. For Arizona State, it could be a bit of a long road back. They have a strong front seven on defense, and only a trip to Georgia is terribly daunting among the Sun Devils' first six games. A 5-1 or 4-2 start may lead to a better season than expected. Will the BYU line hold up? No one can question the quality of talent BYU has in their offensive backfield. The Cougars are blessed with arguably the best quarterback (Max Hall) and running back (Harvey Unga) in the MWC. In order for the two to operate at the highest efficiency, BYU needs to replace four lost starters on the offensive line. The only guy back from last year's starting five is sophomore left tackle Matt Reynolds, a freshman All-American from a year ago who was very good keeping Hall's blind side protected. BYU does have some older players to draw from on the line, including senior center R.J. Willing and junior linemen Jason Speredon and Nick Alletto. One of the reasons Hall was so successful last year was he was only sacked 19 times in 13 games. Six of those came during an embarrassing loss to TCU. While Hall should be able to count on good blind-side protection, BYU will head into the season opener against Oklahoma with some uncertainty up front. It won't be a good way to start the season, but things should be solved by the conference opener against Colorado State. TCU will be good enough, again. Gary Patterson just finds a way to churn out a quality football team every year, no matter what they lost the year before. Defensively, the Horned Frogs are in for another challenge. In this offense-driven era of college football, TCU has allowed no more than 18.7 points per game in any of the last four seasons. Last season, the Horned Frogs permitted double-digit scoring just six times, with a season-high of 35 allowed to national championship contender Oklahoma. With just four starters back on defense, TCU may have to lean a bit on their offense in 2009. Quarterback Andy Dalton returns, as do leading rusher Joseph Turner and leading wide receivers Jimmy Young and Bart Johnson. After averaging 33 points per game, TCU could be poised for a big offensive year. With trips to Virginia and Clemson among the Frogs' first three games, they're going to need the support as the defense finds itself. Big year for UNLV. The patience of the UNLV administration is about to be rewarded. After giving football coach Mike Sanford a three-year extension after a 5-7 finish in 2008, the Rebels are ready to take the next step. A defense that had its moments a year ago returns seven starters, including leader and tackling machine Jason Beauchamp. Quarterback Omar Clayton returns, ready to trigger a spread offense that picked up a touchdown per game over 2007, and will only get better as they continue to develop a ground attack. Helping UNLV even more this year will be a schedule that includes seven home games, including three straight to start the season. Games at Wyoming and New Mexico are totally winnable, as are home dates with Sacramento State, Hawaii, San Diego State, and Colorado State. Finding a couple more wins could make for a very big season in Vegas. Is Brady Hoke the answer? This is a question we may need a few years to answer. Chuck Long tried, but just didn't get much good done at San Diego State. When he left after a 2-10 season in 2008, the Aztec program was very lucky to bring in former Hoke, the former coach at Ball State. Hoke comes in and inherits a stocked cupboard of players looking for some direction. The Aztecs sport a slew of experienced defensive players, and former New Mexico head man Rocky Long will try to get something out of that group. Meanwhile, quarterback Ryan Lindley, wide receiver Vincent Brown, and leading rusher Atiyyah Henderson are all back from last year. Even a marginal improvement means the Aztecs should be able to climb out of the Mountain West cellar. True bowl contention might not come right away, but with Hoke in charge and fully confident in his coaching acumen after a 12-2 season at Ball State, anything can happen. Blitz machine Stevenson Sylvester leads a maniacal Utah defense, which hopes to keep the Utes near the top of the Mountain West despite the loss of some key pieces on offense. Expect running back Matt Asiata to be the key guy on offense early in the season. ... Air Force has won 17 games in two years under coach Troy Calhoun. This should be another strong year for the Falcons, who still run the ball as well as anyone, but have integrated a more efficient passing game. ... Nice bowl run for Colorado State under rookie coach Steve Fairchild, but it's going to be tough to repeat that feat. The Rams lost a ton of skill-position talent, along with six starters from a defense that struggled, even when things were going well. ... Mike Locksley takes over at New Mexico, where the Lobos struggled to a 4-8 finish last year. Without defensive ace Long on staff, expect UNM to have issues keeping teams off the scoreboard. Considering that the Lobos haven't averaged 30 points per game since 2003, it could be a long season. ... For Wyoming, the promise of a Las Vegas bowl win back in 2004 has been tempered. The Cowboys are 19-28 since, including 4-8 last year, enough to get coach Joe Glenn fired. Former Missouri assistant Dave Christensen is the new boss. He has 16 starters, but has to find a quarterback and restructure this offense. With Christensen's offensive background, expect it to be a short turnaround, but a tough schedule that includes a visit from Texas and trip to Colorado will keep Wyoming from climbing the ladder right away. Is Ted Thompson Going After Vick?